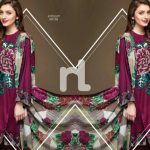 Latest Nishat Linen Sawan Special Collection 2018 has been released. In this latest collection, you will get beautiful embroidered yellow unstitched three piece dresses. 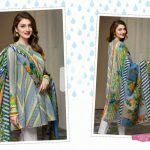 The three piece suit include textured cambric shirt with embroidered border patch, dyed textured cambric trouser and a nice printed crinkle chiffon dupatta. This latest collection is also available online. 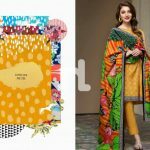 You can view pictures of Latest Nishat Linen Collection Swan Special 2018 here below.